I hope everyone is having a fabulous week so far! I know I am! I've actually been very productive. I've made a lot of cards and various other items to share on my blog. I've also been busy preparing for an upcoming craft show. The craft show isn't until May but having the extra time gives me plenty of opportunity to create some pretty amazing items! I have a card to share with you today. I made it using a stamp from the From the Heart stamp set. This set has so many wonderful sentiments in it! One of my favorites is the Friendship? Yes, please stamp. The stamp coordinates perfectly with the Tea for Two DSP. I know just the person for this card! Haven't signed up for my newsletter yet? No worries! You can still do so! Just click the "Subscribe to our mailing list" button on the top of the left sidebar. Enter your email address and you'll immediately be sent a FREE tutorial! Newsletter is released on Monday of each week. If you would like previous copies of my newsletter- please send me an email to let me know. There have been tutorials in some of them! I wanted to share a card that I created for the Paper Players challenge. 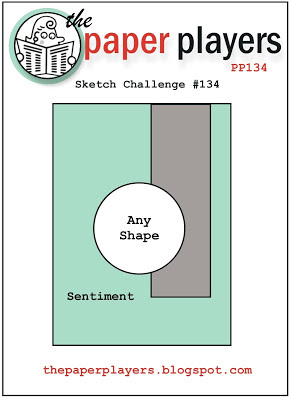 This week's challenge was a sketch: I liked the sketch because it's very clean and simple. I chose to create a card using Early Espresso, So Saffron, Very Vanilla and the Tea for Two DSP. It's hard to see from the picture but if you look closely at the oval with the flower- you'll see that I created a background for the flower by stamping the oval chevron stamp from the Oh Hello stamp set. Today I have the cutest little Post-it Note holder to share with you. My fabulous upline Becky Roberts shared them at our last downline meeting. Unfortunately I don't live within driving distance of Becky so she was kind enough to share the instructions. In our Inking Everything team- we are always sharing fabulous ideas and tutorials as well as training for our businesses. Would you like to join my team? During Sale-a-bration you can join for $99 and you will receive 25% more in retail value in your kit! That's over $150 in product for $99! As always- shipping is included on your starter kit. Click here to join me today! Be sure to list me as your demonstrator! Please contact me for more information! These are the perfect gifts for friends and co-workers. 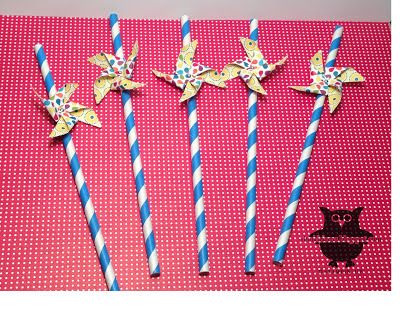 They are super easy to create and oh so cute! I made a bunch of them! I can't wait to share! Today is the first day of my craft class at the Monroe YMCA. For now- my classes will be for adults but in the Spring- I will be teaching both children and adults. I'm really excited for this wonderful opportunity! 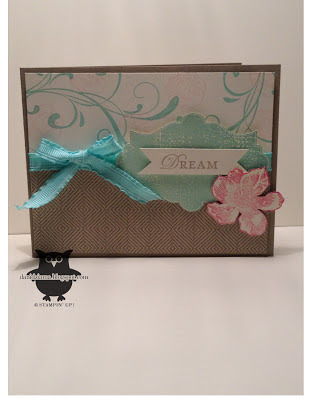 Stamping and paper crafting has become a huge part of my life and I love that I get to share it with others! I know that there are people who say "I can't do that. I'm not that crafty". Guess what- I said the same thing! So if I can do it- so can YOU! I promise! My first class is a set of 4 CAS (clean and simple) cards. I'm not going to share all 4 of the cards here as I have already shared them here at some point. Hopefully my students will enjoy! Happy Monday! Have a great day! Yesterday was a crazy busy day. Unfortunately I didn't get to post at all. Saturday evening we had plans to get together with our friends to celebrate our friend Molly's birthday. My day started bright and early with baking a birthday cake for Molly. After the cake was done baking and it was time to frost it- I stacked the first layer onto the cake circle and lightly iced it. I then added the second layer to the cake circle and the cake decided to split down the middle on the top layer. I was in a panic and I wasn't really sure what to do. ( I'm not really a cake decorator) I just decided to put more frosting on it and hope it held together! I topped the cake off with a banner that said "HB 33". Thanks to Penny Smiley for the cake idea! She made her daughter one for her 16th birthday and my inspiration totally came from her! So thanks Penny! As I said above- I wasn't sure if the cake would be ok. It was extremely heavy due to the amount of icing I used to keep it together. I thought for sure it was going to crack in half again. So then I decided to bake another cake. Only this time I baked a Texas Sheet Cake. I knew that one would come out! As it turned out- the cake above turned out perfectly fine (as did the Texas Sheet Cake). Thankfully everyone loved them both! For some reason- the vellum in the picture isn't lying flat. As I said- I was completely out of time for pictures so I didn't bother trying to take another. I think sometime this week I will share what it looks like from the inside as well as new pictures of the outside. Haven't signed up for my newsletter yet? No worries! You can still do so! Just click the "Subscribe to our mailing list" button on the top of the left sidebar. Enter your email address and you'll immediately be sent a FREE tutorial! Newsletter is released on Monday of each week. If you would like previous copies of my newsletter- please send me an email to let me know. There have been tutorials in them! Today I have a card to share with you. I used the Vintage Verses stamp set, Sycamore Street DSP, and the Sycamore Street Ribbon and Button pack. All 3 of those products can be earned just by placing a $50 order. Click the shop with me button on the right side bar to visit my Stampin' Up! webstore! I chose to use Tangerine Tango for the card stock, ribbon, ink and DSP. I love how bright and vibrant the color is. Makes for a FUN card! Have a FABULOUS Friday! 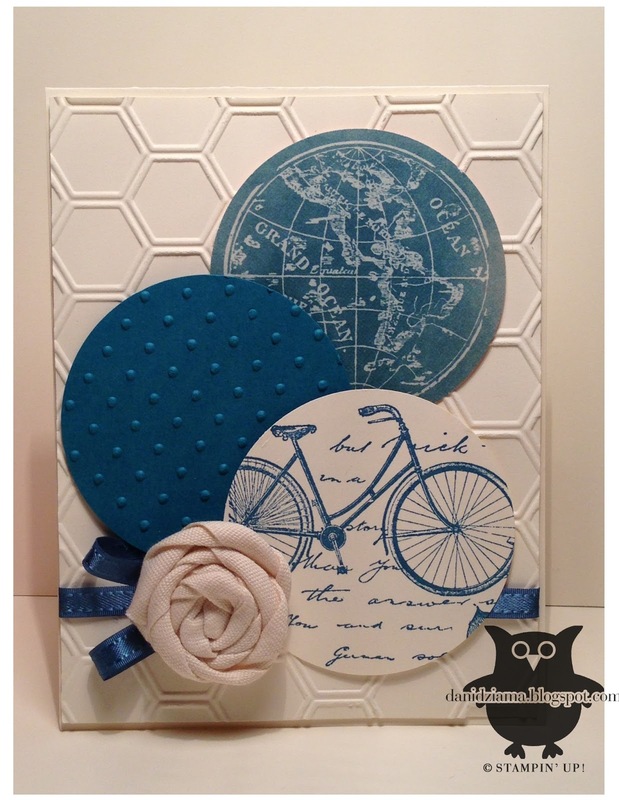 If you look at the picture closely- you'll see that the Stampin' Dimensionals are showing through my doily. I woudn't recommend using them with the doily (not unless you want them to show!). Next time I will remember to use a Glue Dot! Haven't signed up for my newsletter yet? No worries! You can still do so! Just click the "Subscribe to our mailing list" button on the top of the left sidebar. Enter your email address and you'll immediately be sent a FREE tutorial! Last week's newsletter contained a tutorial on how to make paper roses. This week's newsletter features a color challenge and a stamp set giveaway! Don't miss out on the fun! Join us today! My how the days are flying by! Can you believe it's Thursday already? Earlier this week I shared the mini explosion box/tea light birthday cake that I made for my mother in law's birthday. I have received several emails in regards to how I made the box. I didn't write a full tutorial with pictures for it as I didn't think it was going to be so popular! I did write the basic instructions in the comments section of that post but I realize that not everyone saw them. For the box base- I started with a piece of card stock that was 6" square. Score all 4 sides at 2". Completely cut away all 4 corners. To decorate the sides- I used card stock that measured 1 3/4" square. The DSP that I layered onto the card stock measures 1 1/2" square. Embellish as you wish! For the lid- start with a 3 1/8" square piece of card stock. Score all 4 sides at 1/2". Cut from score line to score line on opposite sides to create little flaps. Fold into a box shape and secure each flap with a glue dot. Embellish the top as desired. That's it! YES!!! It's really that simple! Keep in mind while decorating the inside of the box- the heavier you make your sides- the quicker they will "explode" when the box is opened. I would love to see what you create! 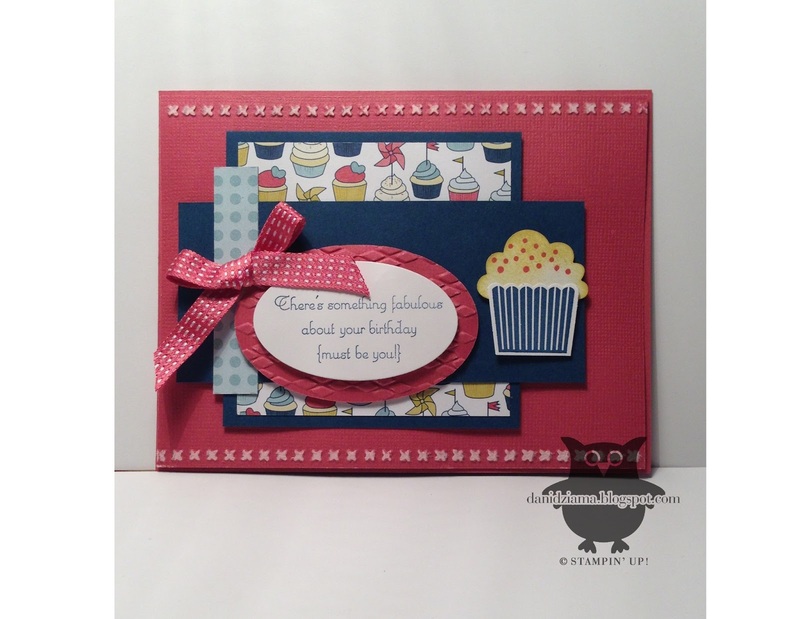 Today I have a card to share that was created using the Everything Eleanor stamp set. Everything Eleanor is a beautiful set that can be found in the 2013 Annual Catalog. I figured that since I've been paying so much attention to the Spring Catalog lately that I should focus on the main catalog for a while. It's hard to see from the picture, but I stamped the small flower from the Everything Eleanor stamp set in Pink Pirouette ink and then onto the flourish design. For the larger pink flower- I stamped it in Pink Pirouette ink and then I used a sponge dauber with Rose Red ink to add some shading. The card is much prettier in person than it is in the picture. 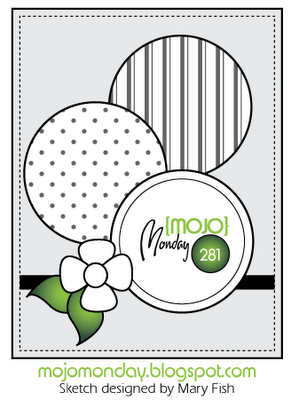 Since yesterday was Mojo Monday- I thought I'd share the card that I created for the Mojo Monday Challenge. I love this layout. 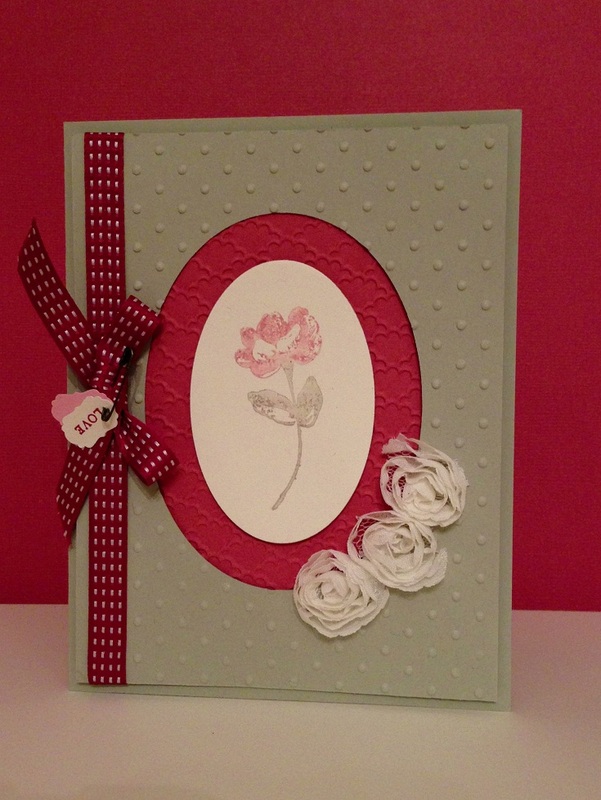 It may look like a clean and simple card however it can be stepped up and made to look sophisticated! I chose to use the Fan Fair DSP along with Very Vanilla and Island Indigo. I kept a monochromatic color scheme. I made a ribbon rosette from the Natural Cotton ribbon. The Island Indigo ribbon is from the SAB Sycamore Street Ribbon and Buttons pack that you can earn for FREE! 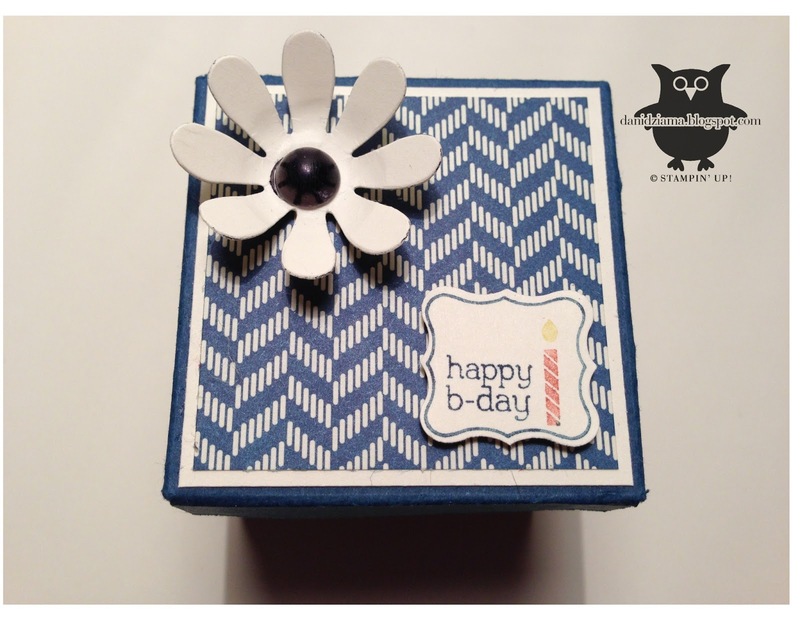 Since my mother in law's birthday is in a few days, I thought I'd make a mini explosion box with a cute little tea light birthday cake. I know these little tea light cakes were popular a few years ago but I've only recently discovered them. I love making them because they are quick and easy not to mention super cute! They are the perfect gift for the person who has everything! Haven't signed up for my newsletter yet? No worries! You can still do so! Just click the "Subscribe to our mailing list" button on the top of the left sidebar. Enter your email address and you'll immediately be sent a FREE tutorial! Last week's newsletter contained a tutorial on how to make paper roses. 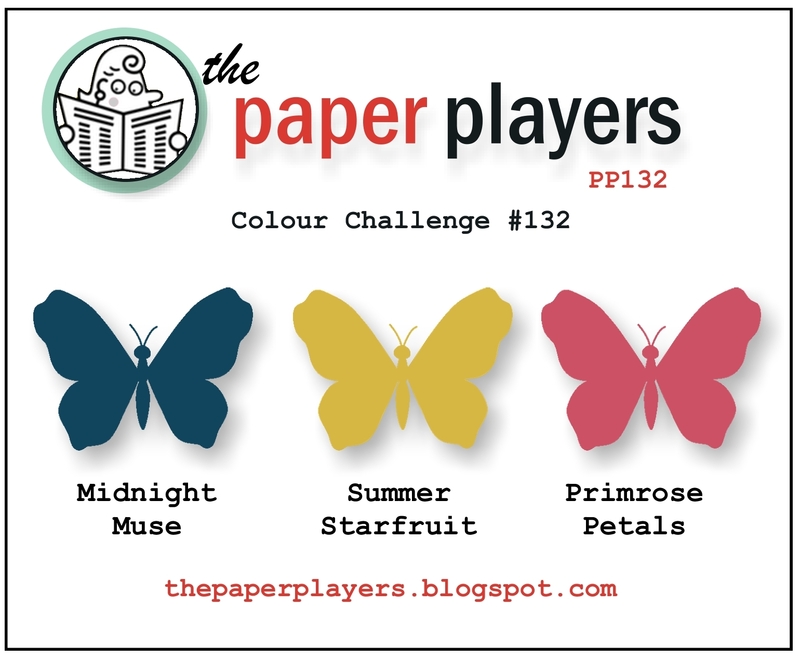 This week's newsletter will feature a color challenge and a giveaway! Don't miss out on the fun! Join us today! I've been playing around with my new Oh, Whale! stamp set. I just love it! The whale is so cute and fun! Definitely makes for cute cards. Normally I make a lot of holiday specific cards but haven't really created a whole lot for other occasions like get well soon, anniversaries, baby, etc. I chose to make a get well soon card today and I used the "Get Whale Soon" sentiment for the inside. I've had several people ask me if I decorate the inside of my cards. Usually I do and today was no exception! 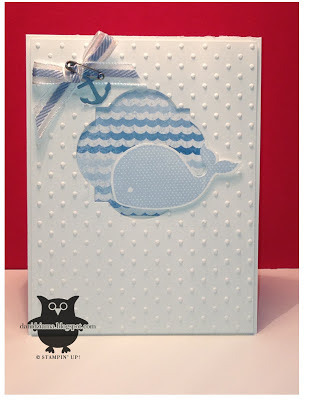 For this particular card, I used a scrap of Marina Mist card stock along with a scrap of the Sunshine and Sprinkles DSP (the piece that looks like water). 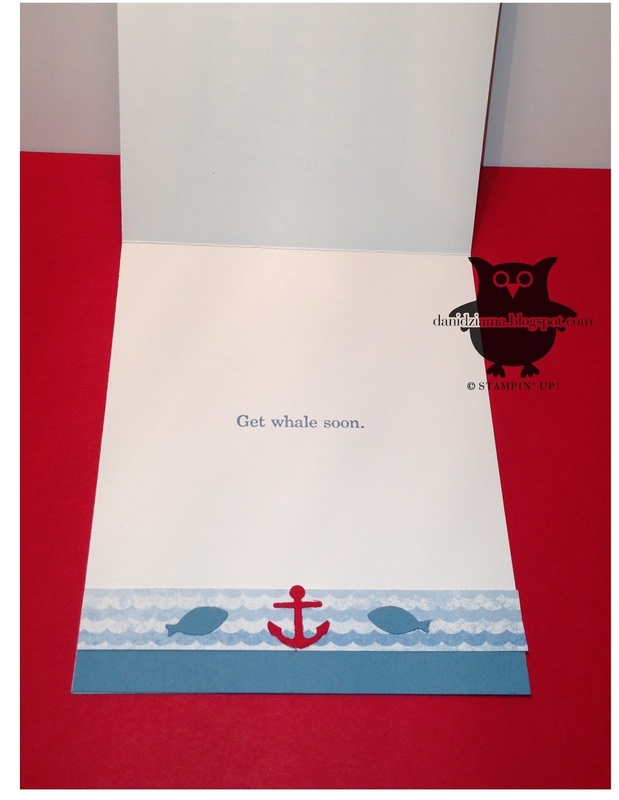 Then I added 2 fish and an anchor (from the Happy Whale Clearlit die). I think it came out cute! Haven't signed up for my newsletter yet? No worries! You can still do so! Just click the "Subscribe to our mailing list" button on the top of the left sidebar. Enter your email address and you'll immediately be sent a FREE tutorial! Last week's newsletter contained a tutorial on how to make paper roses. Next week's newsletter will feature a color challenge and a giveaway! Don't miss out on the fun! Join us today! 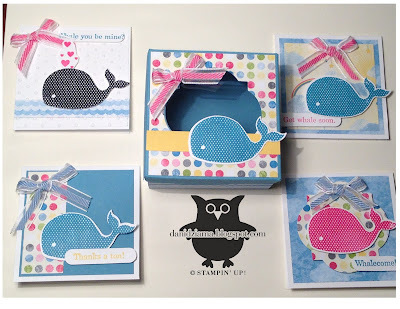 Since I received my Stampin' Up! order yesterday, I thought I would play around with my new goodies! I wasn't sure how I felt about the whale set at first but after I kept seeing cards and projects made with it- I knew I had to have it! Oh Whale is such a cute set! I chose to make a box set that holds 4 cards. I used the Window Frames Collection framelits and cut a decorative window in the top of the box. I think it came out cute! The cards aren't anything fancy but they sure are cute! You can't tell from the picture, but the sides of the box have DSP that looks like water. Happy Valentine's Day! What are your plans for today? Are you going out to dinner to celebrate? Or are you one of many who choose not to celebrate? Whatever your plans- I hope you have a wonderful day! As I promised, I shared my last Valentine's Day card yesterday. The card I chose to share today is a Thank You card. 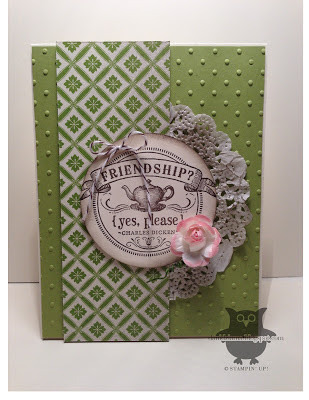 It's made from the Oh, Hello stamp set and Tea for Two Designer Series Paper. I can't tell you how much I love these 2 items. They are quite possibly my new favorites from the Spring Catalog. I love that the colors in the Tea for Two DSP are so springy and fun! Makes me wish for warmer weather! I'm not sure why, but in the picture the"Thanks So Much" banner looks like it's pulling away from the card. It's really not. Just a photo illusion I guess! I hope you all have a fabulous Thursday! Woot woot! Two posts in one day! Since I was so busy over the weekend and the last few days- I decided that today is my "play" day. First up on my morning "blog hopping" routine was mojomonday.blogspot.com. As you probably already know- there is a new challenge posted weekly. I participated at the very last minute last week and this week I wanted to make sure I got done early. So here is my card. I really liked the lay out of the sketch this week. Lots of layers and textures all one! I chose to make a Valentine's Day card. I'm sure you're getting sick of seeing all my Valentine's creations and I promise this is the last Valentine's Day card I will share this year! Have you subscribed to my newsletter yet? If not- now is the time! Exclusive tutorials, giveaways, tips and techniques and much more! Click "subscribe to our newsletter" on the left sidebar! 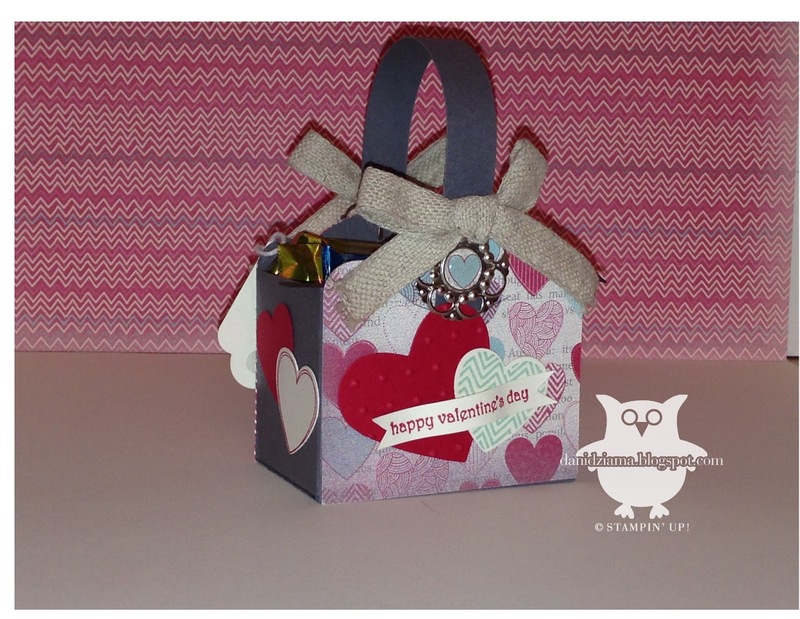 You will automatically receive a FREE tutorial for the "Love Notes Gift Box". 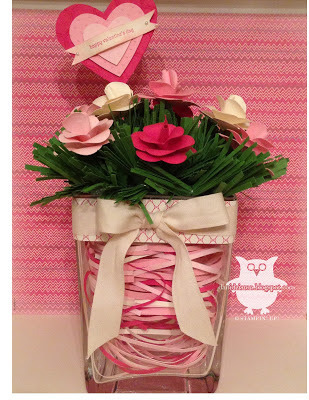 This week's newsletter has a tutorial on how to make paper roses! Don't miss out! A few weeks ago I was wandering around TJMaxx when I came across a container of paper straws. I LOVE paper straws! The first time I ever used one was at Disney's Animal Kingdom. Disney uses them at their Animal Kingdom park because they are biodegradable and much less hazardous to the wildlife that lives there. I love paper straws because they are fun (and better for the environment)! They look just like a normal straw but are made from a sturdy paper material instead of plastic. I wasn't exactly sure why I "needed" the paper straws but I bought them anyway! I chose to decorate them with a pinwheel from the Stampin' Up! Pinwheel die! They came out cute and I know my little friends will just LOVE using them! What fun things do you make with random items? 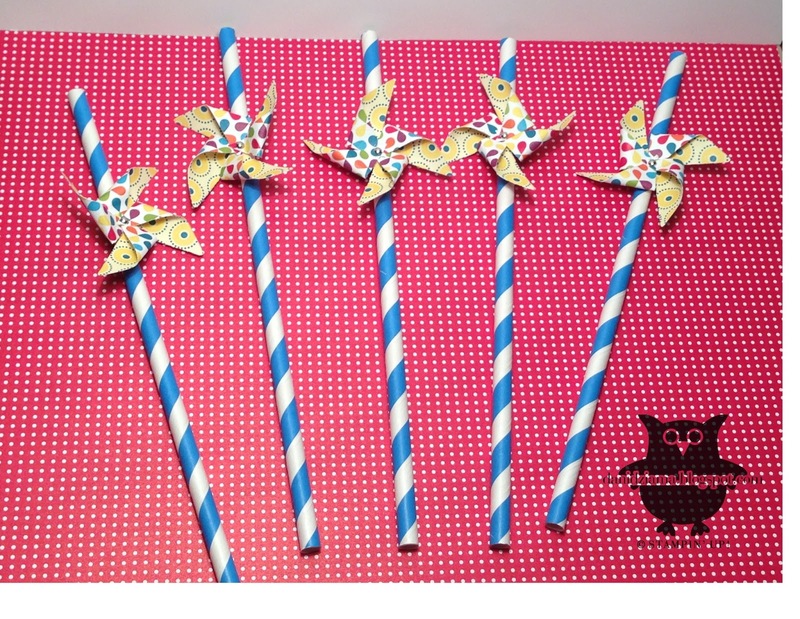 Have you decorated paper straws before? Thanks for checking in! Today I have a card that I CASED. I love it! It's one of my favorite Valentine's cards that I've made so far this year. I don't normally like to share things on my blog that use retired product but I made an exception for today. Unfortunately I can't remember where I saw this card (I had taken a picture of the computer screen with my cell phone). If you know who the original creator of this card is please let me know so that I can give proper credit. Remember to sign up for my newsletter! Exclusive tutorials, special offers and much much more! I was a little nervous about this color scheme as I've never used these 3 colors together before. I'm glad I tried it. I love it! I really enjoy participating in the challenges from various sites. It not only provides inspiration but it pushes me out of my comfort zone to try new things. I strongly suggest trying some of the challenges! It's a lot of fun! Thanks for checking back in tonight! I hope you had a fabulous weekend! The Oh, Hello card set with coordinating window box makes a wonderful gift set! The all occasion greetings paired with the geometrical shapes in the Designer Papers give this card set a unique look that will have everyone in awe! Please note that prepayment of this class is REQUIRED. Use the button below to register for the class. Class is limited to 8 participants. Don't forget to sign up for my newsletter! My newsletter features exclusive content that will not be on my blog (meaning that I will not share my newsletter tutorials on my blog or visa versa). Sign up now! I apologize for the late posting this morning. For some reason Blogger didn't want to cooperate last night and I was unable to schedule my post. The card I have to share with you today is a CASE of a card that I fell in love with from my usual blog surfing routine. It was originally created by Mindy Backes. My card is a little different from hers as I didn't have the same stamps or ribbon as she used. The card is still beautiful either way! The first picture is Mindy's card. The second issue of my newsletter goes out bright and early Monday morning! Don't miss out! There will be a tutorial on how to make paper rosettes and more! Just enter your email address on the left sidebar where it says "sign up for our newsletter". As a stamper, I am always looking for new ideas. Whether it be a different color combination, card layout or using embellishments in a different way. 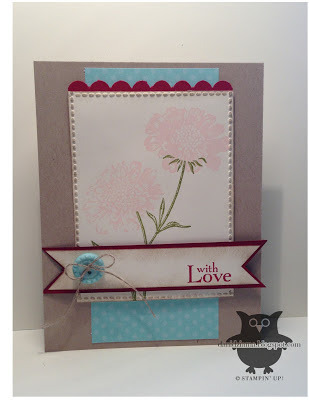 Today while doing my usual blog surfing, I came across the fabfridaystampinchallenge.blogspot.com website. I thought it would be fun to play along! You should make one too! I'd love to see what you create! Happy Friday! I hope that everyone is doing well! We are supposed to be having a snow storm today so I'll be inside stampin' all day! I'm currently working on several projects at the same time. I have my blog, my newsletter, the design teams that I'm on and much more. I truly love being busy! It keeps me on my toes! I have a card today that I want to share with you. It was created for the Splitcoaststampers.com Creative Crew. For this card, we were asked to create using the color combination Sahara Sand, Pretty in Pink, Raspberry Ripple, Primrose Petals and Very Vanilla. It took me a few tries to actually get something that I liked. I wasn't sure how I would like all the colors together but I think I did it! 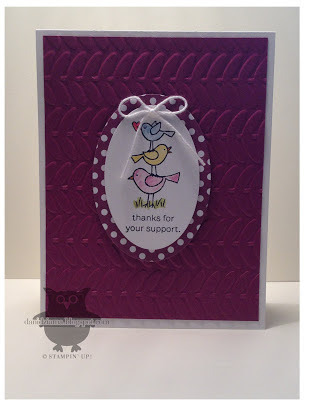 The card I created is beautiful AND I used all the correct colors! Woot Woot!! Remember- the next edition of my newsletter comes out Monday! There will be a mini tutorial on making paper rosettes! Don't miss out! Sign up today! Yesterday I decided to try out a new technique. I keep seeing all kinds of wonderful "chalk board" art and I love it so I thought I'd give the chalk board technique a try! I love how my little "chalk board" turned out! Isn't it cute? Too much fun! You should try making one too! I hope everyone is having a wonderful week so far! As I mentioned earlier in the week, I'm sharing my submissions for the Holiday Focus for the Creative Crew over at Splitcoaststampers.com. Today's item was created for the Holiday Focus challenge as well. I thought that since I made a Valentine's Day card and a Valentine's Day floral arrangement, I might as well make a little treat box to hold some chocolates! Isn't it adorable? The first picture shows the front of the box and a little bit of the left side. This picture shows the back side of the box and a little of the right side. For those of you wanting to know how to make this a little box like this- Click subscribe to my newsletter! It is the similar to my Love Notes Gift Box tutorial. There is some variation in the size though as the Love Notes Gift box actually holds 4 cards. Please note that I have received a few questions about where to find the actual Love Notes Tutorial. The tutorial is actually emailed to you immediately after you sign up for my newsletter. It comes in the format of an auto responder from MailChimp. Just click the colored text/link and the tutorial will automatically begin to download. Spoiler alert for next week's newsletter- we will be learning how to make Paper Rosettes! My newsletter features exclusive content that will not be on my blog (meaning that I will not share my newsletter tutorials on my blog or visa versa). Sign up now! 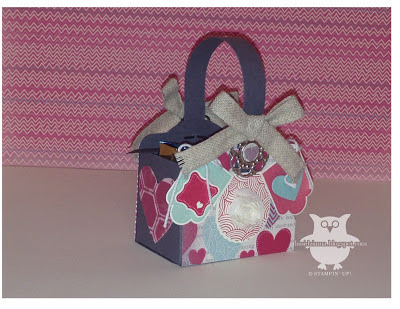 Today I am sharing another absolutely beautiful project with you! Since I had so much fun making the Christmas floral arrangements I thought I would try making one for Valentine's Day. It is beautiful! Trust me- it looks WAY better in person! I used a combination of pinks and Very Vanilla to keep it in the Valentine's Day theme. As an added touch- I made a heart "pick" that says "Happy Valentine's Day". Looking to purchase an arrangement that is already made? Send me an email at dani.dziama@gmail.com or call (734) 497-8521. I can make them for any occasion! Check your inboxes because the first issue of my newsletter should be arriving soon (if it's not already there). 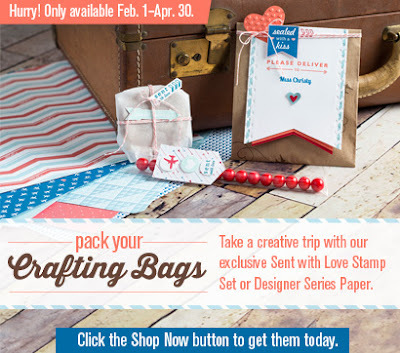 The newsletter will be weekly and will feature many different aspects of crafting. Cards, color combos, exclusive tutorials, giveaways and much much more! Not signed up yet? Enter your email address in the "sign up for our newsletter" in the top left sidebar. It's that simple! 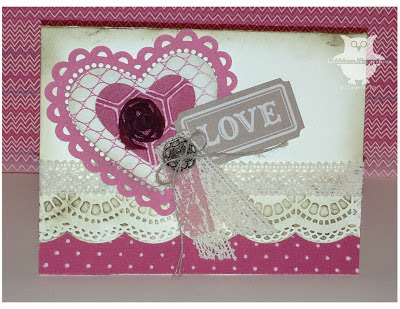 As a bonus for signing up- you will also receive the "Love Notes Gift Box' tutorial. What are you waiting for? Join the fun today! 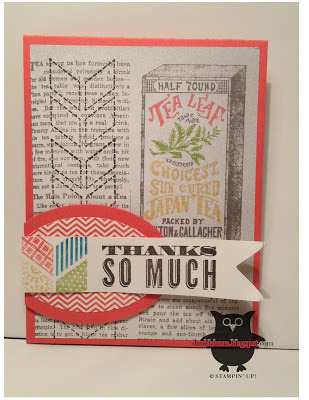 Today I wanted to share another one of my submissions for the Splitcoaststampers Creative Crew. 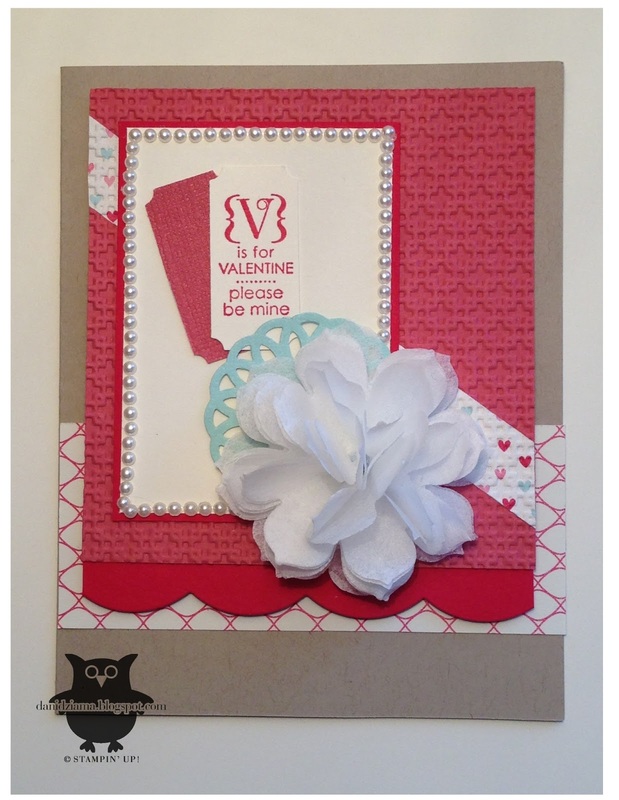 Our focus for this card was to create a card that was a Valentine, Love, Amore, etc... 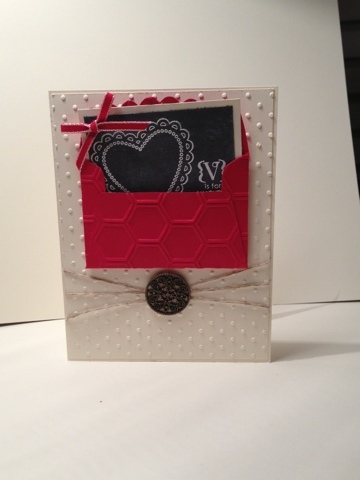 I choose to create a vintage looking Valentine. I used several different layers and textures. I think it's pretty! For the next few days- I will be sharing the other items that I created for the Creative Crew Holiday Focus. This was my favorite challenge so I made several submissions. I hope you enjoy them! Remember to sign up for my newsletter! The first issue will be released tomorrow! I just wanted to share a special offer with you! From now through the end of April- Stampin' Up! is offering the Sent with Love stamp set and designer series paper. 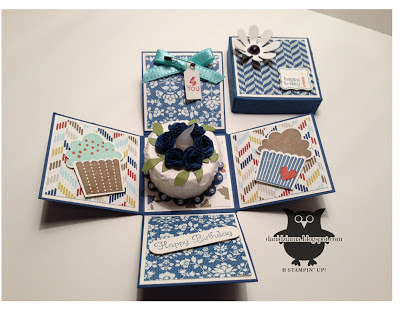 You can purchase both items individually (the stamp set is $17.95 and the DSP is $10.95) OR you can purchase them together with a package of Calypso Coral Bakers Twine for $25.50. That's a 20% off retail value savings! Click the Shop with me button on the right sidebar to get yours today! I am still offering the FREE Love Notes Gift Box tutorial for those who subscribe to my Newsletter. The tutorial will be sent directly to you via email. As for the Newsletter- the first issue will be released in just a few short days! Stay tuned! The Creative Crew has been at it again! This month's challenges were both challenging and fun! 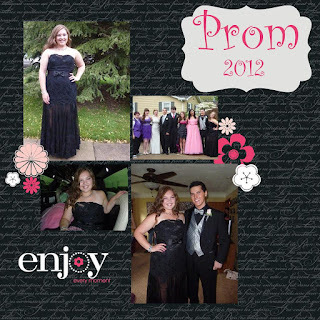 I actually created my first scrapbook page using MDS2. I'm not new to scrapbooking by any means but I haven't done it in a long time. I had several books that I had worked on for years. Literally. Unfortunately my books were ruined when our finished basement flooded a year ago. Not only did I lose a lot of my children's childhood pictures but I lost a lot of pictures from other important events in our lives. The scrapbook challenge was actually the most difficult for me. Since the flooded basement happened I no longer have hard copies of photos. I'm strictly digital only (and on a computer that's NOT in the basement). I was scrambling at the last minute to come up with something. Fortunately Stampin' Up! offers a FREE 30 day trial of MDS2 so I downloaded it and tried it out! The page I'm sharing with you is by no means fancy but it fit the sketch. I promise that once I fully learn all the tricks of the MDS2 trade my pages will be amazing! For those of you who would like to try out MDS2- Click on the SHOP WITH ME button on the right side bar to visit my Stampin' Up! Store.